232 high-quality LEDS, providing 1,400 lumens, ensure high light output - clear, shadow-free lighting without losing the plasticity of the object. 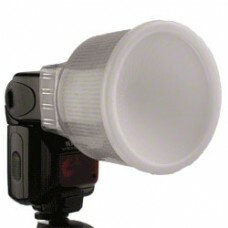 The intensity of the light can be adjusted smoothly from 20% up to the maximum level. This is a particularly useful feature when taken macro images when the aperture is at its fullest extent. The compact size and the moderate weight only impair the user comfort and camera handling slightly. Seven ring holders delivered with the product can be simply screwed on so that different lenses can be used. 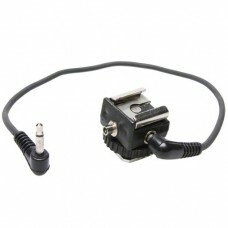 For light camera systems, the set contains a light, innovative mini-tripod made from high quality aluminium. Photographers and videographers can add optional accessories such as microphones, system flashes, flex arms and fill-in lights at any time using the hot shoe. When lighting with the ring light, the light drops slightly from front to back, ensuring extraordinary plasticity. This is why the effect is to striking - the light has a special, strong characteristic look that has an effect on the overall feel - it is very helpful, for example, for series of images. The results can be viewed and evaluated immediately in the viewfinder, which means that even beginners can produce impressive portraits, macro images and still life photos using this technique.